We want you to get the best results from your QR codes so check out our Do’s and Don’ts to help you get started before going to print. Invite people to scan your code, tell them what they are scanning it for. e.g. Scan with your mobile to get a discount! Scan our QR code to get the latest’s offers! Scan to be entered into the competition! Send your customers to a mobile friendly version of your site or at least to a mobile friendly page. After all, your customers are probably using their smartphones to scan your QR code so a site not optimised for mobile will give a poor result and experience or simply put customers off. Check out http://www.Mobi-sync.com for a mobile optimised website. Consider the final print of your QR code. If the resolution is poor your QR code won’t scan well and may not work. Provide a link “where possible” to download a QR code reader. Not all phones have a QR code reader built in so your customers need to know how and where to get a QR code reader from. Here are some examples of QR code readers that can be downloaded for free. Don’t just create a QR code, point it your website and print it on your poster, flyer etc. Qr8ive Analytics can help you understand how your customers interact with your brand and help your ROI by showing you where your marketing it working. We provide the most comprehensive analytics, real time monitoring and automated reporting for QR code marketing. Test your QR code before going to production. This is especially important if you decide to start adding logo’s to it or changing the colours from your standard black and white images. Some phones won’t read your QR code if the wrong colours are used or if the resolution is poor. Remember to put a link to your website so customers can still get to the offers unless you are providing the offers or services exclusively to mobile users and want them to scan your QR code. Don’t try to be too fancy with your QR code. Remember you want customers to scan your code. If you try to be too fancy by changing the shape, colours or adding logo’s, you could render your QR code useless. It will look pretty but that’s about it. Don’t point customers to a standard desktop versions of your website. Remember; QR codes are scanned by smartphone users and their screens are small. Check out http://mobi-sync.com – they can provide the best mobile friendly versions of your website so your customers can get a better mobile experience. Don’t assume everyone knows what a QR code is! Help your customers along with a short intro to your QR Code. E.g. Don’t just create your QR code and point it to your website, how will you know that your code is actually being scanned? With QR8ive Analytics we provide the most comprehensive analytics on how your QR code is performing and can show you real time scans and the length of time customers are staying on your site. Don’t add long URL’s or lots of text to your QR code. 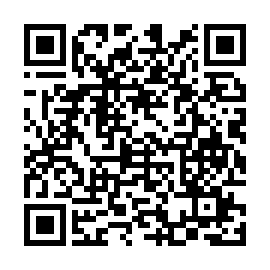 Use QR8ive Analytics URL shortening service to reduce the amount of information in your QR code. Our codes have a high read rate because we remove the need to fill the code with lots of information resulting in a clean, crisp and clear QR code. Don’t use the same QR code for all your advertising needs. Use different QR codes for different mediums i.e. use one code for Posters and a different code for flyers within the same campaign. This way you can analyse which advertising strategy is working best for you. By using QR8ive Analytics QR codes we will group and report on each QR code, this enables you to see exactly which advertising strategy is working best for you. Don’t place your QR code in hard to scan places. We see some QR codes printed small and posted on bill boards or display screens that hang from the ceiling. These codes are hard to scan as you generally need to be stood in front of the QR code or have very large QR codes printed to be able to scan from a distance.